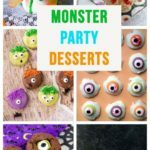 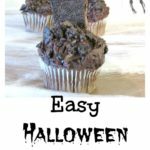 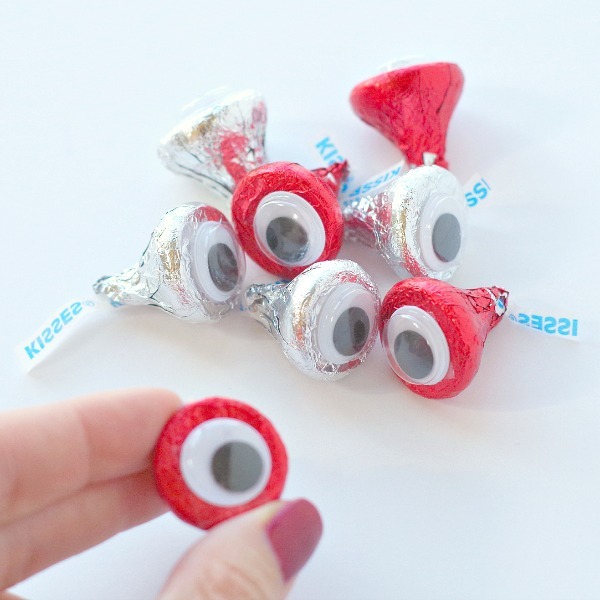 These monster eye Halloween Hershey Kisses are the easiest Halloween dessert for parties or to pass out to trick or treaters. 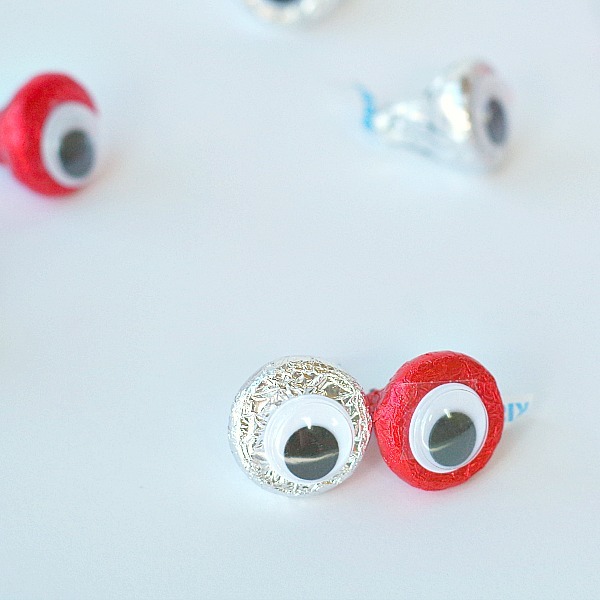 You can just have a bowl of Halloween Hershey Kisses for guests. 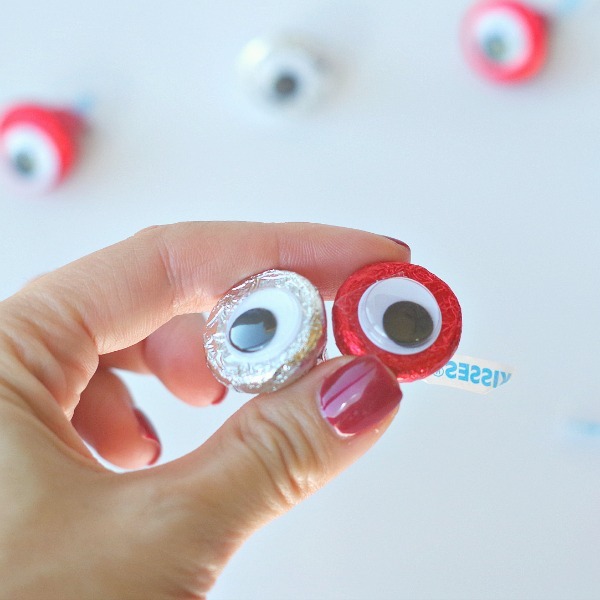 Since I always have googly eyes for crafts(I use an excessive amount of googly eyes) I though they would be perfect to put on some kind of candy. 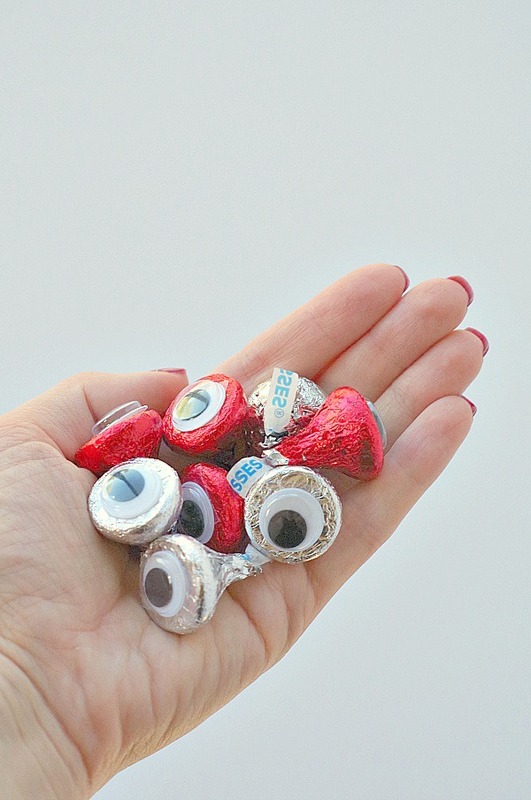 The bottom of the kisses are the perfect size for a googly eye. 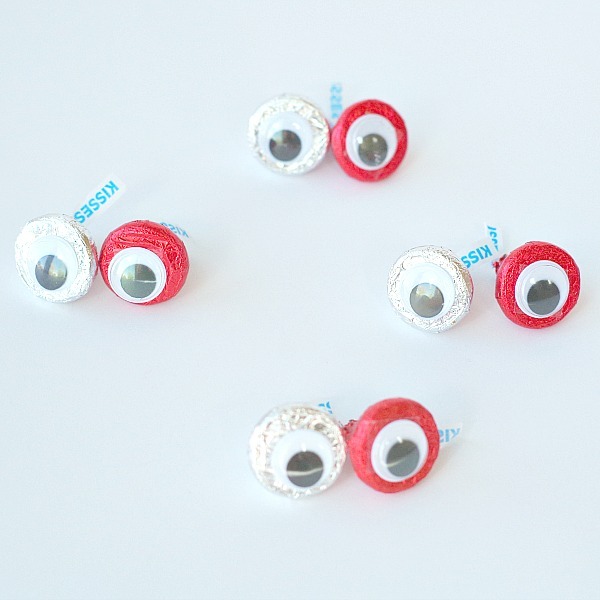 You can put these in the bowl of candy to pass out to trick or treaters to add a little more fun to the candy. 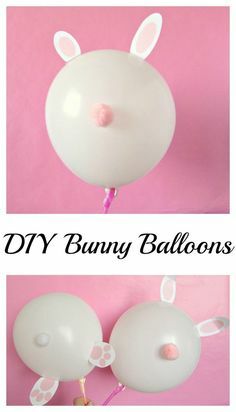 Seriously how easy are those to make?! 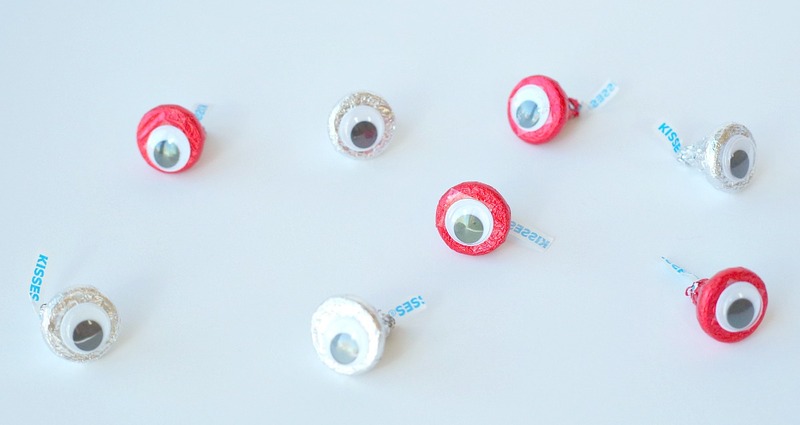 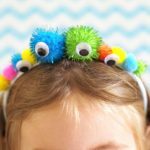 Plus they look super cute, you really cannot go wrong with monster googly eyes. 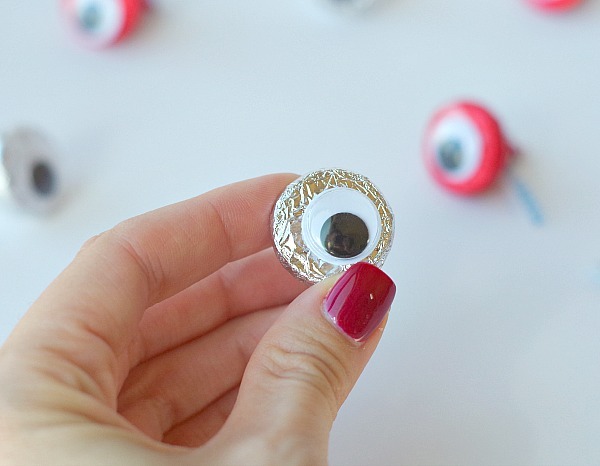 Although, now I feel like I’m being watched. 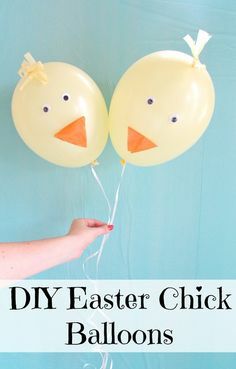 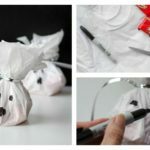 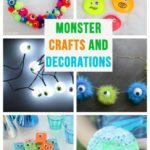 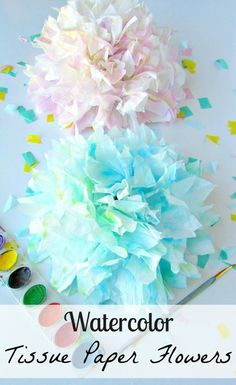 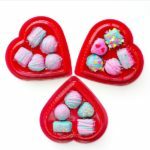 You can put them in cellophane bags to pass out to guests at a Halloween party or for kids in your children’s class at school. 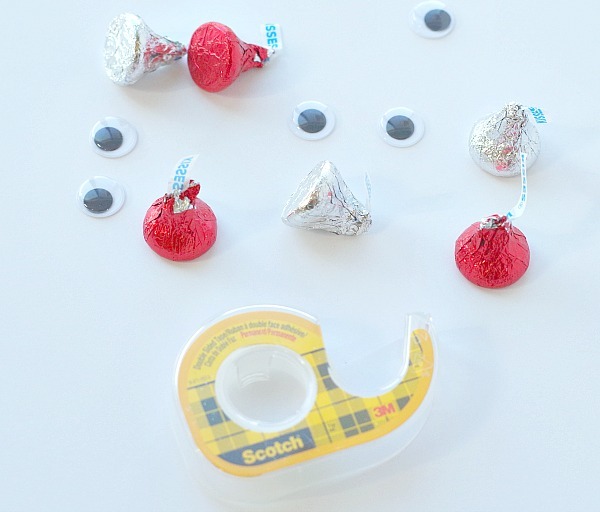 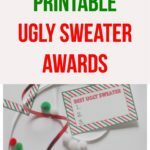 I am all about making cute things with little effort and these fit in perfectly to that category. 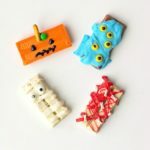 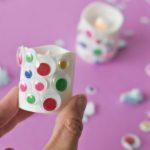 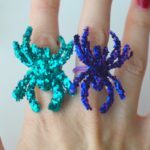 They are perfect for a last minute Halloween idea.